My journey in Freemasonry began in 1993 when I was initiated into Pilkington Lodge No 6522, which meets at Radcliffe Masonic Hall. After occupying the Master’s Chair in 2002,I was invested as the Lodge Charity Steward in 2005. I remained in that office until I was appointed to the role of Bury District’s Charity Steward some twelve years later. I was exalted into the Holy Royal Arch in Papyrean Chapter No 5771 which is based in Bury in 2006 and after occupying the chairs of the Three Principals, I was appointed to the Office of Charity Steward for the Chapter. 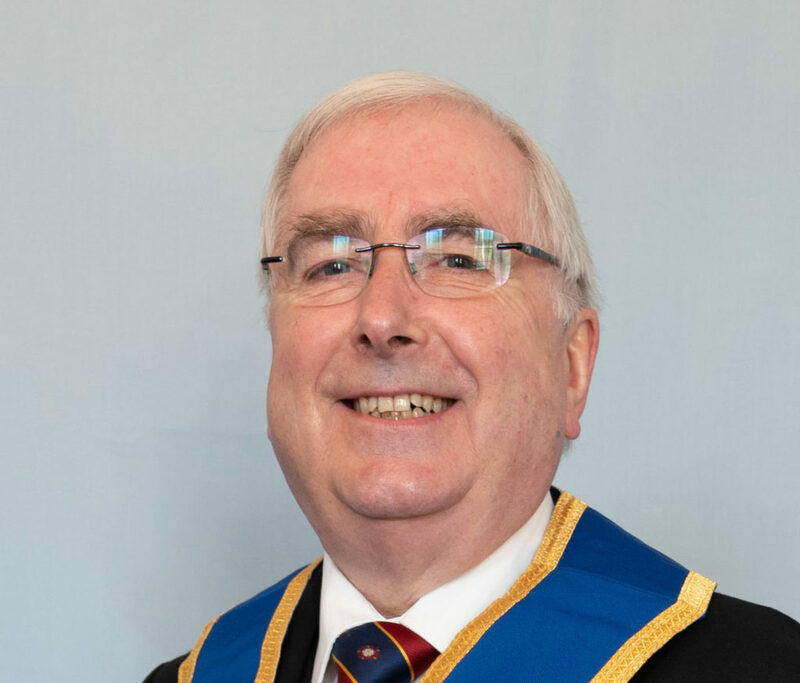 Having been the secretary to the Bury District’s Charity Stewards’ Committee for many years and then the District Charity Steward, I have gained a valuable insight into the way our charitable system, in particular the East Lancashire Masonic Charity, works for the benefit of Freemasons, their dependents and other members of our wider community. Of all the elements of Freemasonry, it is the charitable aspect that interests me the most and gives me the most pleasure. I feel very privileged to be appointed as the Provincial Grand Charity Steward for the Province of East Lancashire and through that appointment, to be able to serve the continuing development of the ELMC. It seems to me that sometimes, Freemasons are embarrassed at being a part of such a caring fraternity. I believe we should be proud of the support that Freemasonry is able to offer in times of need. Outside the fraternity, Freemasonry continues to be the second largest supporter of good causes in the country – second only to the National Lottery. It is estimated that almost £50 million was given to charities and good causes by Freemasons in 2017 and so, we have every right to be proud of who we are and what we do. I am looking forward to the challenges of this Office, to meeting as many members of the Province as possible and of course, to raising as much money as we can in the cause of charity in order that we can continue to support worthy causes.